The Group supplies the products with quality guarantee and is ISO 9001:2015 certified. We are the leading manufacturers & suppliers of Metal Perforated Sheets / Screens, Laser Cutting, Expanded Metal, Crimped Mesh, Welded Mesh, Wire Mesh, Cable Trays, Conveyor Belts, Speaker Grills, Vibrating Screen, Demister Pad, other Architectural Products etc. In adddition to the above stated products we also undrtake special jobs like Embossed Plantes, Embossed- Trays, Dimple / De - Stoners, Huller - Screens, Herringbone Screens, Perforated Test Sieve, Pulverizing Screens in Round, Square, Rectangular, Oblong, Hex & Conical Holes and any type of hole by Turret Punching in Stainless Steel, Carbon Steel, M.S. / G. I., Aluminum, Brass, Copper etc. Our Research and Development team is actively developing all kind of special Dies & Tools and Special Machineries as per specific requirement. All our plants are having very good production capacity as well as maintain all quality standards. Our key goal is to reduce the rejection and it is a pleasure for us that our rejection percentage is very negligible as our operators and supervisors are highly trained and very co-operative with the group. Mr. Tejaram Jangid is the Founder of the Group and had started the Wire Mesh business in 1970 in Delhi. In the year 1980 the company expanded its operation of Perforated Sheets as well as Expanded Metal. The operations were shifted and a plant was then set up in Bhayander (Mumbai) by his son's Mr. Inder Jangid & Mr. Shyam Jangid with further extension at Talawade, Pune in the year 1997 by Mr. Raichand Jangid. In the year 2006 the Group further started expanded its strength by installing a bigger plant at the same location having latest high-tech specialized Machines of Perforation, Expanded Metal & Wire Mesh etc. Since the vision was to achieve highest position in the field, the Group again added a separate and systematic plant for Crimped Mesh, Vibrating Screen at Talawade Pune in the year 2009. Now it's the generation of Technology hence further in the year 2013, the Group has also started upgrading to the latest technologies by converting its machineries into CNC. Already the Group has started its multiple CNC Machines in full flash. Recently in the year 2015, the Group developed one more separate & systematic plant for Welded Mesh and now the Group has come up with Laser Cutting also having very latest fiber laser technology. It always gives inspiration to the personnel of the Group led by the dedication of Mr. Raichand Jangid and his well trained team, which keeps him and his team busy in developing the Special Machineries and Tools. Ours is privately owned Company, this independence ensures us to deliver total quality management under the promoters' control. With capacity to hold inventory of raw material, we can deliver our products on scheduled time, thereby ensuring you not to keep any extra stocks. At the same time, we specialize and offer tailor made custom solution as per customer specifications. The Vision of Jai Shree Group is to boost its sales and production of products such as Laser Cutting, Turret Punching, Perforation, Expanded Metal, Wire Mesh, Welded Mesh and Crimped Mesh and to ensure that our customers ber provided best Quality of Products to their satisfcation. 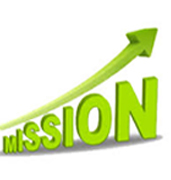 The Mission of Jai Shree Group is to focus on Quality, Timely Delivery & Best of Service to our Customers. •et; 100% privately owned with zero debt Company, hence quality oriented products. 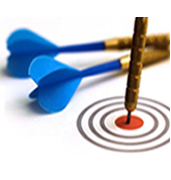 •et; Ensures Total Quality Management under Promoters Control with 48 years of experience. •et; Stock of Raw Materials is ensured. •et; Timely delivery of products which reduces stock to pile up. •et; We specialize in customization of the materials as per the requirement of the customers according to their specifications. •et; We procure and deliver goods not only in Mumbai & Pune, but in all other States of India as well. •et; We offer what we promise and promise only what we can offer. •et; We strongly believe In maintaining long term business relations without compromising in quality.